Coatings Additives include wetting agent, defoaming agent, slip agent, thickener, dispersing agents, flow and levelling agents etc. The additives improve product properties and eliminate or reduce problems occurring during formulating surface coatings systems, thus optimizing production processes. 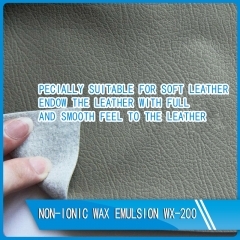 Non-ionic wax emulsion is designed for medium soft wax based filler. It imparts full and smooth feel and strong masking action, reduces resinous feel of finished leather. 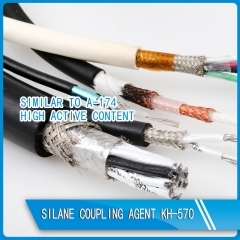 KH-570 Silane coupling agent contains active groups that can react chemically with both the inorganic and organic substances, which can couple the organic substances and the inorganic substances, and can greatly improve the electrical property, resistance to water, acid/alkali and weathering. It is mainly used as surface treatment agent of glass fibre, also widely used in the surface treatment of micro glass bead, silica hydrated white carbon black, talcum, mica, clay, fly ash etc. It can also enhance the over-all property of polyester, polyacrylate, PNC and organosilicon etc. 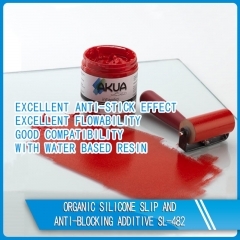 SL-482 is a slip and anti-blocking additive with utmost effectiveness. It has excellent slip and anti-blocking properties in topcoat, pigmented and waterborne systems. 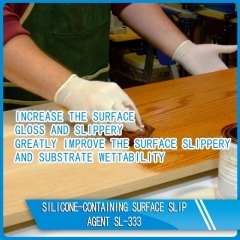 SL-333 is a polyether modified polydimethylsiloxane. It strongly increases surface slip and greatly improves substrate wetting. It can be used universally in all coatings systems. In aqueous systems, it also increases anti-blocking properties. 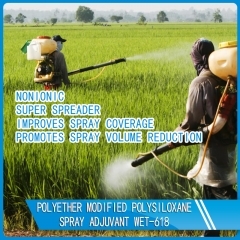 WET-618 is a high superspreading surfactant modified by trisiloxane ethoxylate with super low surface tension. It lowers the surface tension of spray solutions, beyond that which is achievable with conventional adjuvants. 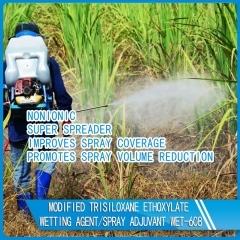 WET-608 is a superspreading surfactant/wetting agent based on a trisiloxane ethoxylate. It lowers the surface tension of spray solutions, beyond that which is achievable with conventional adjuvants. 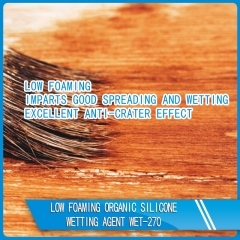 WET-270 is a low foaming silicone wetting agent with low viscosity and low surface tension. Imparts good spreading and wetting properties. Excellent anti-crater effect with flow promotion in water based, solvent based and radiation-curing formulations. 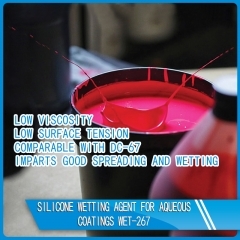 WET-267 is a silicone wetting agent with low viscosity and low surface tension. Imparts good spreading and wetting properties. Improves the wetting of water printing inks on high slip PE, PP and PET used in packaging.